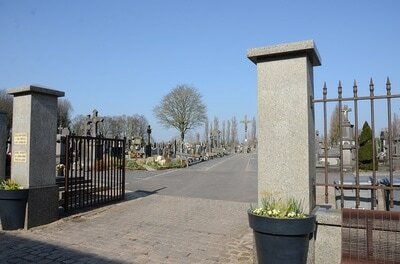 This is a town in the Department of the Nord, on the South-West side of Lille. 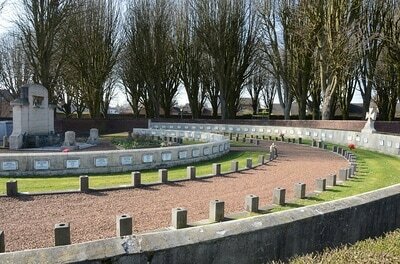 There remains in the Communal Cemetery a British grave at the foot of the French Memorial in the main path, beyond the Crucifix. 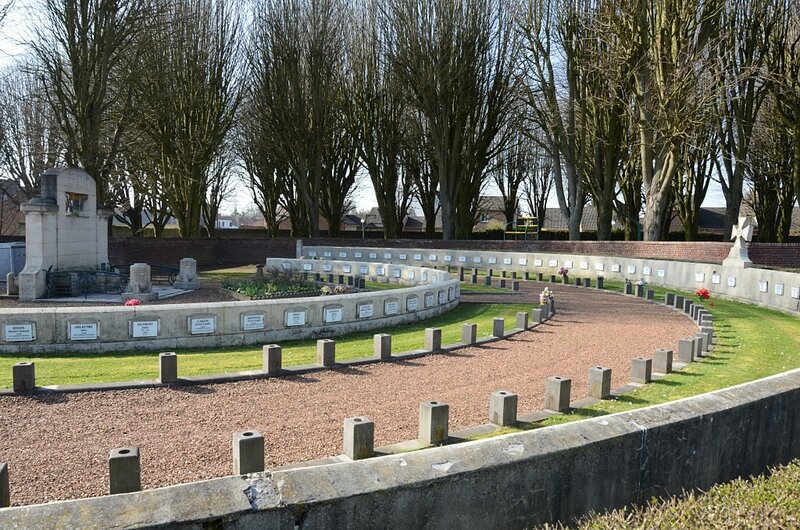 The region was held by the Germans from October, 1914, to October, 1918, and the Communal Cemetery, in the South-East part of the town, was used and extended by German Field Hospitals. 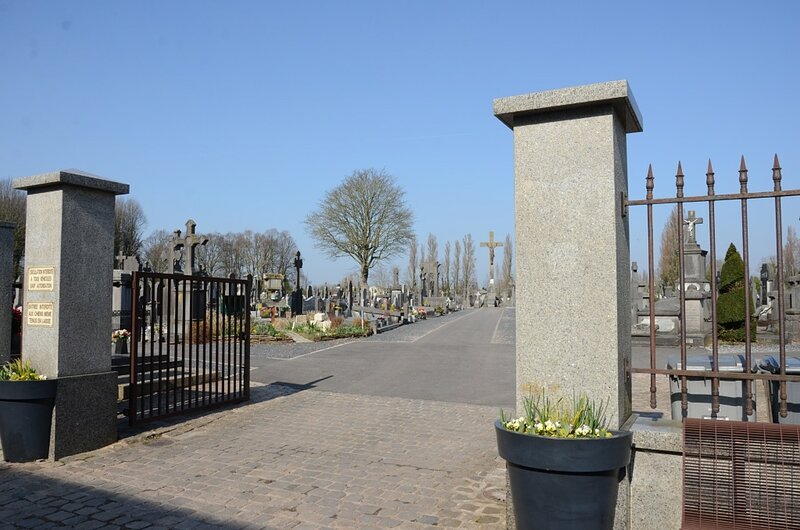 The GERMAN EXTENSION, with nearly 1,000 graves, is permanent; 44 British graves have been removed from it to Cabaret-Rouge British Cemetery, Souchez, and eleven (all of 1914) from the Communal Cemetery itself to Laventie Military Cemetery. 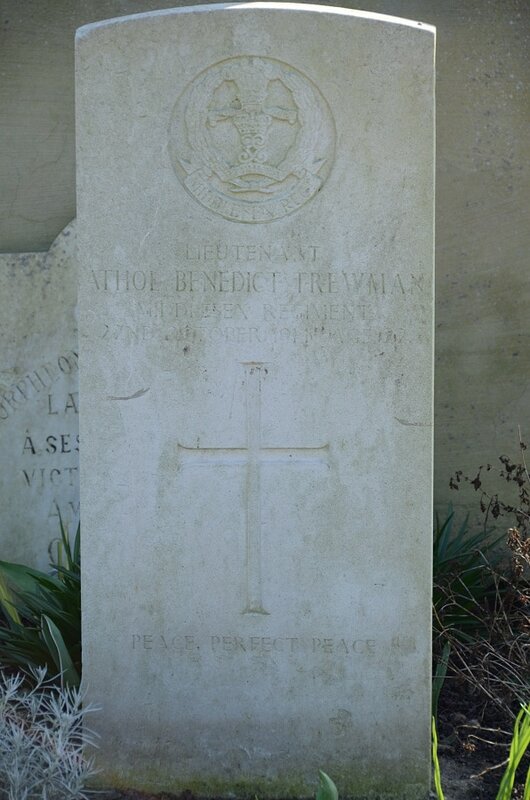 Lieutenant Athol Benedict Trewman, 1st Bn. 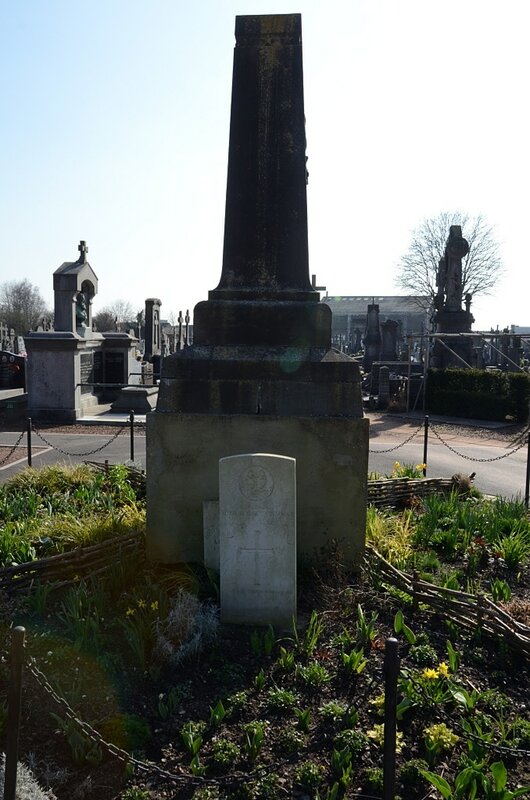 Middlesex Regiment, died 22nd October 1914, aged 22. 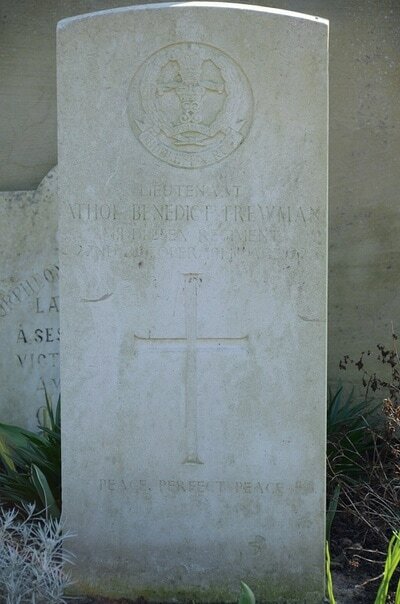 Son of Lt.-Col. G. T. Trewman (R.A.M.C. ), and Florence M. Trewman, of 210, Tilehurst Rd., Reading. Born at Cape Town, South Africa.